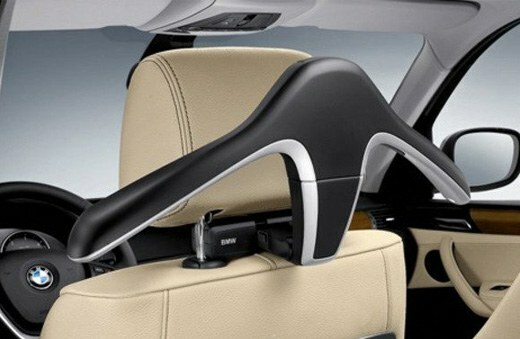 The BMW Travel & Comfort System is a practical solution for any family excursion. With an array of accessories available, customize your BMW to suit your needs and sense of style. Be rest assured that these accessories are designed to adapt and carry out the job at hand. 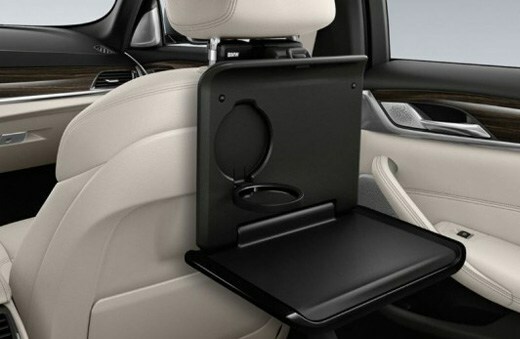 The iPad holder features openings for all connections, microphone, and speakers. Includes 360° screen rotation, office mode which allows for backseat reading, writing emails, chats, etc. Easy to fold up or remove when not in use. The modular system is based on a frame which simply attaches between the head restraint mountings. 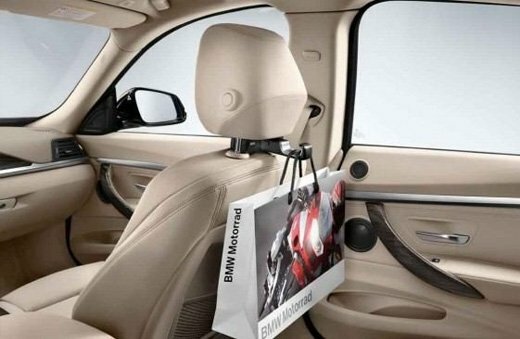 The Clothes Hanger allows articles of clothing to be stored on the back of the seat rest so that they can be carried without the risk of getting dirty. The handy folding table is easily fitted to the Travel and Comfort System's base carrier. The height and angle of the folding table can be adjusted, and also offers an integrated cup holder with chrome ring. The universal hook allows articles of clothing or lightweight bags to be stored on the back of the seat rest so that they can be carried without risk of soiling from dirt in the footwell.